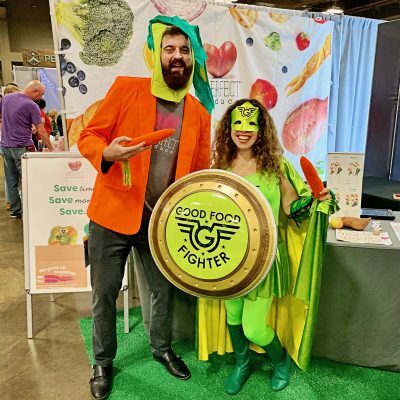 The Good Food Fighter scoured the South-by-Southwest Wellness Expo in search of products that make the world a better place. Hopefully you will find at least one that will enhance your life. 1) Healthy pizza. Is that possible? 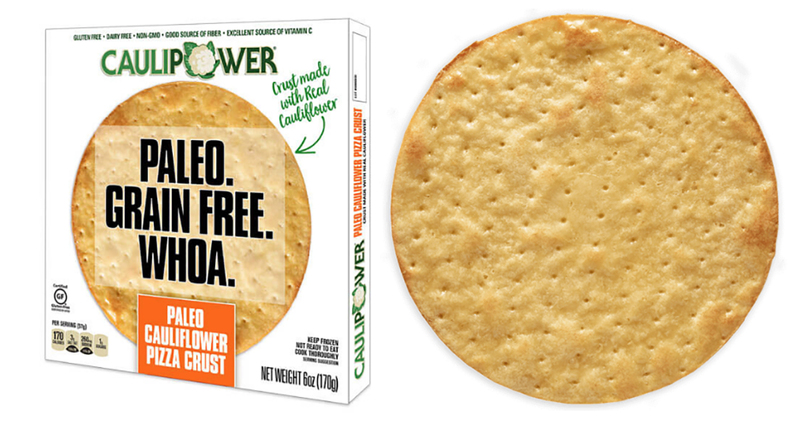 Hard to believe, but cauliflower is the new awesome pizza crust. 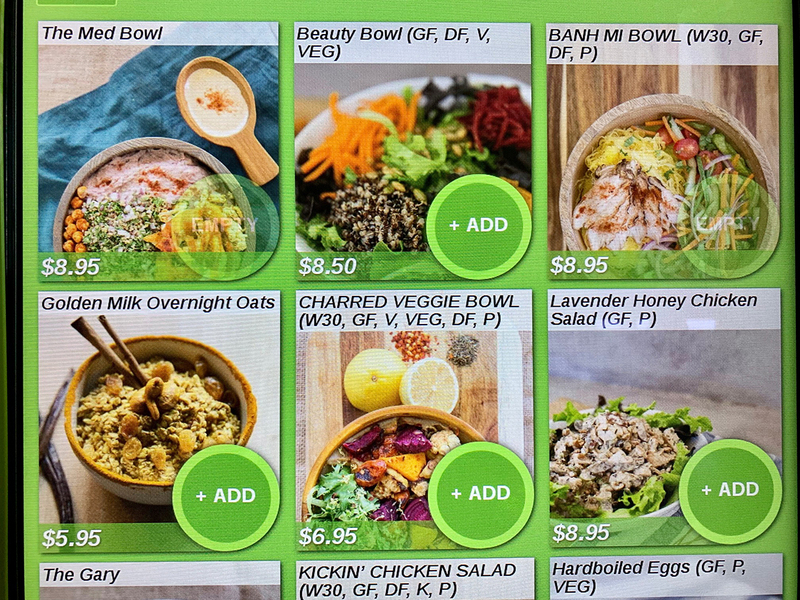 In fact, cauliflower is showing up everywhere. Soon it will be in your toothpaste, your coffee, your popcorn…. 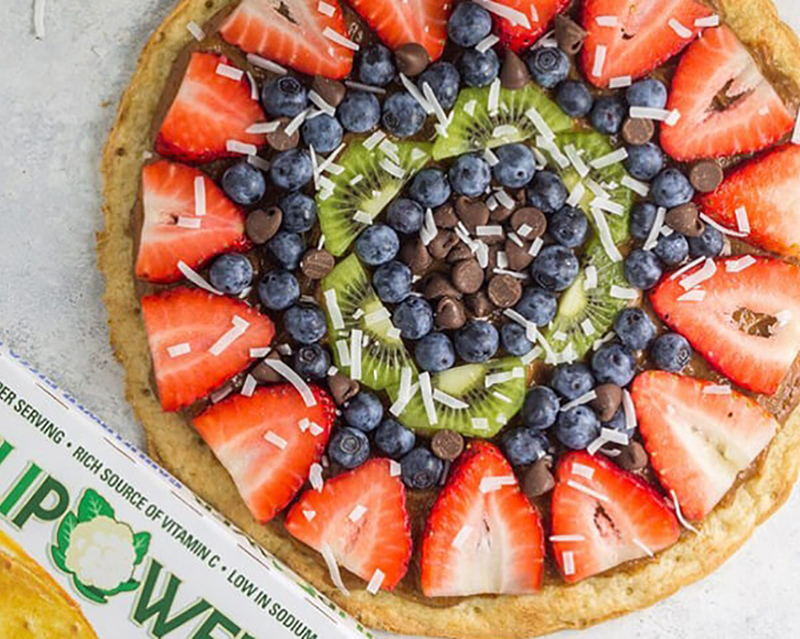 Ingredients: Cauliflower, Almond Flour, Water, Cassava Flour, Tapioca Flour, Coconut Oil, Yeast, Flaxseed Meal, Baking Powder (Monocalcium Phosphate, Baking Soda), Egg, Salt, Xanthan Gum, Honey. 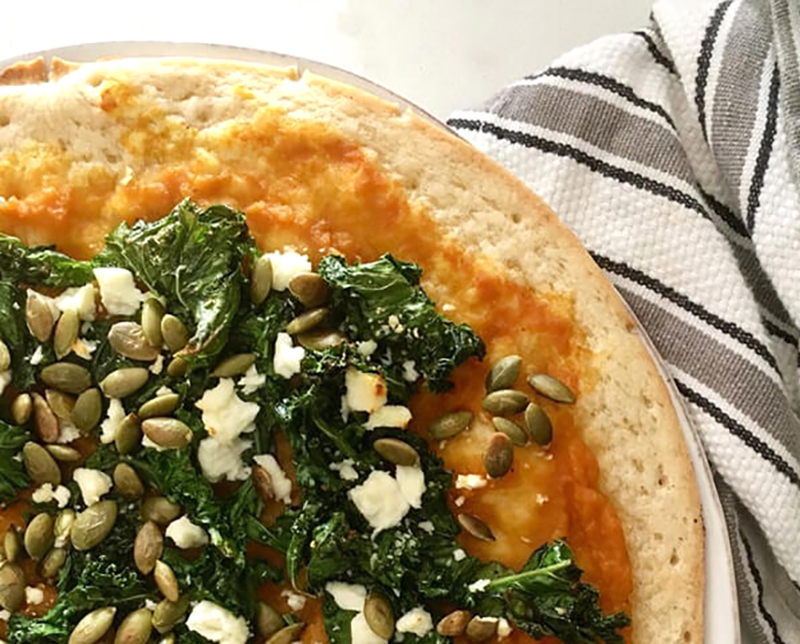 This pizza has been winning some taste awards and has cut into the market share of big box frozen pizzas, so it’s worth trying. You should have seen the lines at the Expo to get a taste of it! Have a look at their veggie pizza. Note that it is not an artisanal house-made pizza, so don’t expect gourmet. But it’s a huge step above most frozen pizza. 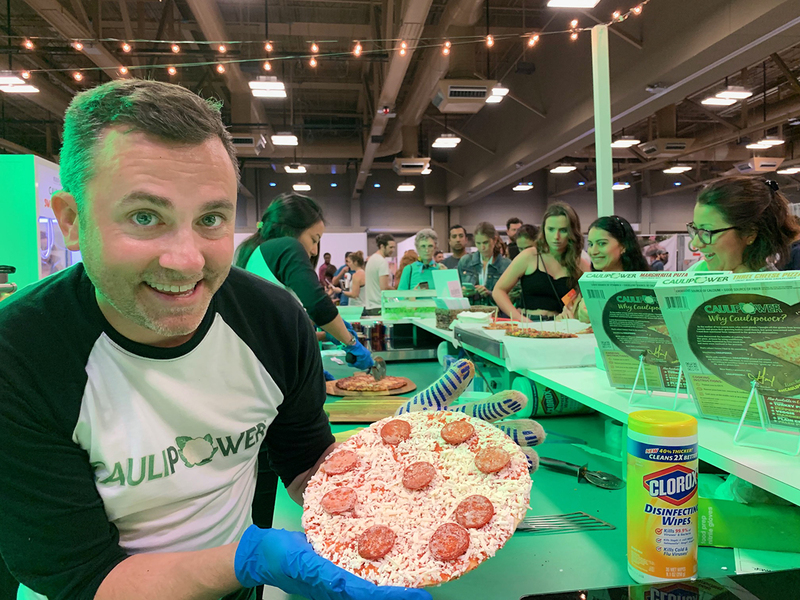 Every Caulipower purchase benefits OneSun, a program installing edible teaching gardens in underserved public schools. What does that even mean? And who thinks about what’s in that little roll? It’s just a rubber mat, right? Wrong. It could be full of chemicals off-gassing into your yoga practice. There you are, nourishing mind and body. And yet you are lying on a plastic mat containing PVC (polyvinyl chloride), polyurethane, heavy metals, synthetic latex or rubber, which smells and is usually bonded with other materials to prevent cracking. Who knew, right? Addie, founder of 42 Birds, knew, and she wasn’t happy about it. So she created a yoga mat made from cork. Here’s a fun question: where does cork come from? d) it is sheared from Mediterranean oak trees. I am very proud of myself for coming up with four very unlikely possibilities. But one of them is actually correct. Cork is harvested by harvesting the tree’s bark once each decade. You can actually complete remove the outer layer without harming the tree. This practice is 1000 years old and produces one of the most environmentally friendly and sustainable products on earth. Want to know more? Why is cork the perfect yoga mat material? Cork has the perfect balance of cushion and traction. It’s grippy. That means it has a great non-slip surface. Even when you sweat. Actually, the more you sweat, the more it grips! It’s naturally antimicrobial. That means no toxic chemicals like Triclosan. It’s anti-static. It naturally repels dust, hair and water. For those practicing outside, it even repels insects due to a waxy substance called Suberin. 42 Birds uses cork from Spain and Portugal. These yoga mats are functional, eco-friendly and beautiful! 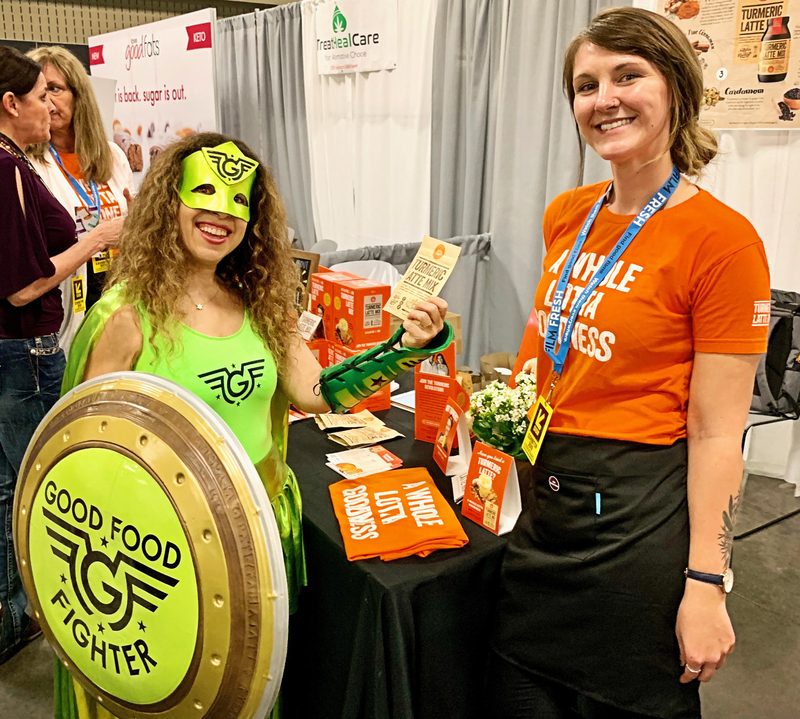 Your Good Food Fighter has negotiated a 30% discount for her readers! Just use the code GFF30 when buying your mat. 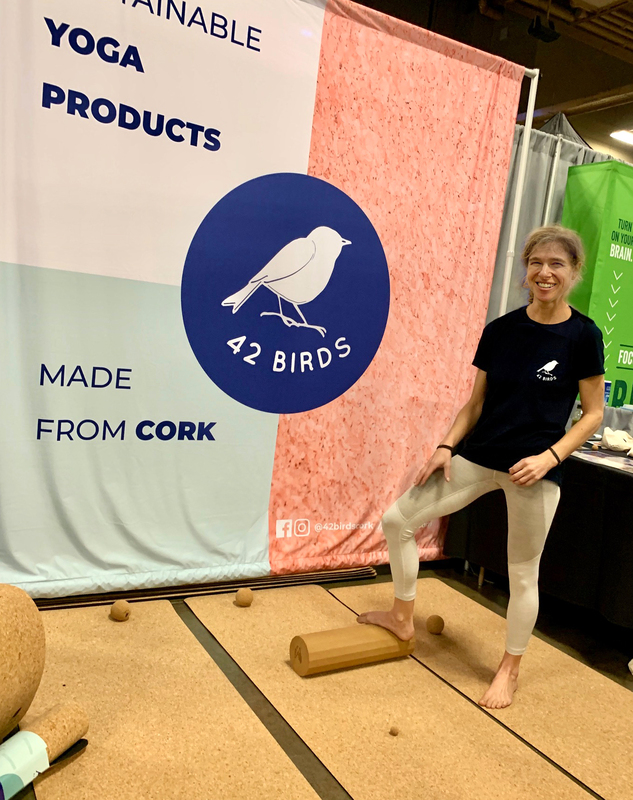 42Birds donates 1% of their profits to the World Wide Fund for Nature, The Cork Forest Alliance, and the National Audubon Society. 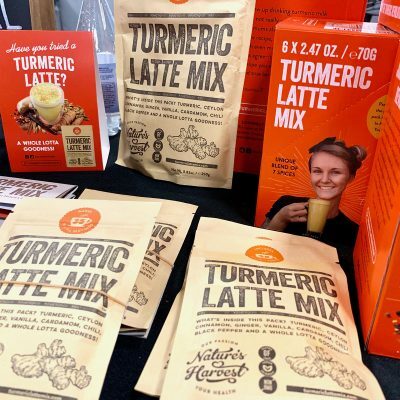 Turmeric is the king of holistic cancer-fighting foods because of its active compound, curcumin. 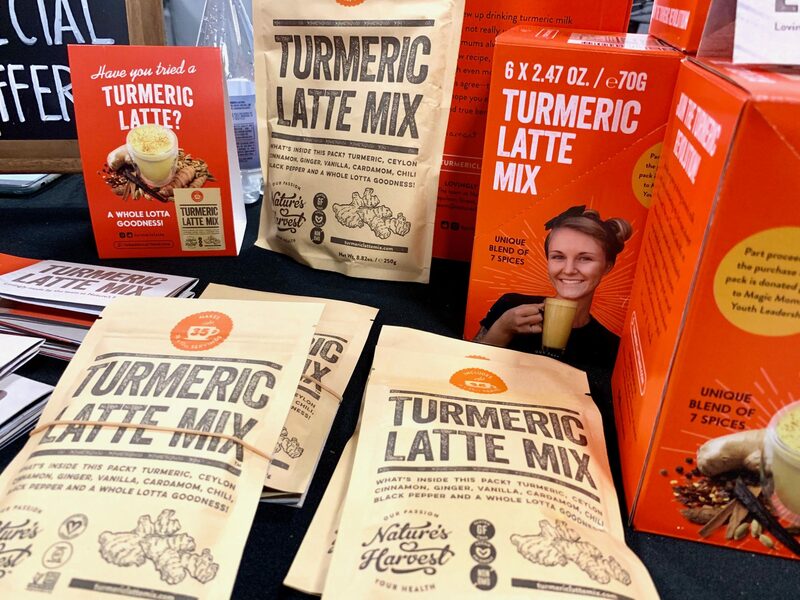 There are over 19,000 studies on curcumin and cancer in the PubMed databases, a collection of peer-reviewed scientific studies that incorporates the National Institutes of Health and the National Library of Medicine. I drink this every day. Ingredients: turmeric, ceylon cinnamon, ginger, cardamon, vanilla, chili, and black pepper. It has a little kick and a really pleasant taste. When the company first started, it was just Taylor (pictured above and below0 grinding the spices in small batches. Now that we they’ve grown, they have two more people who help in the grinding process. It’s still done in small batches and each one is tested for heavy metals. 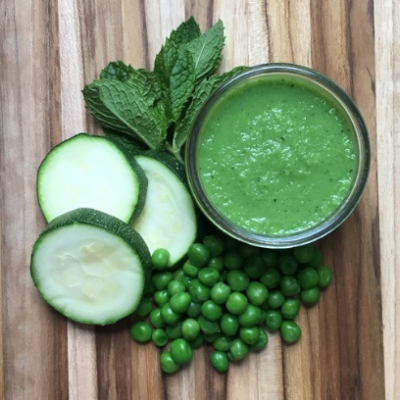 They source ingredients directly from organic farmers in Sri Lanka to support their communities and help them grow. pure almond or cashew milk (Here’s my favorite brand which contains no gums, carrageenan, or other additives). a drop of maple syrup or local raw honey. 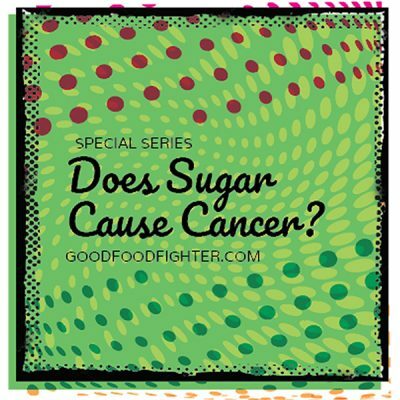 Or a healthy sugar substitute like stevia drops or monk fruit powder. GFF readers get a 15% discount on first purchase here. 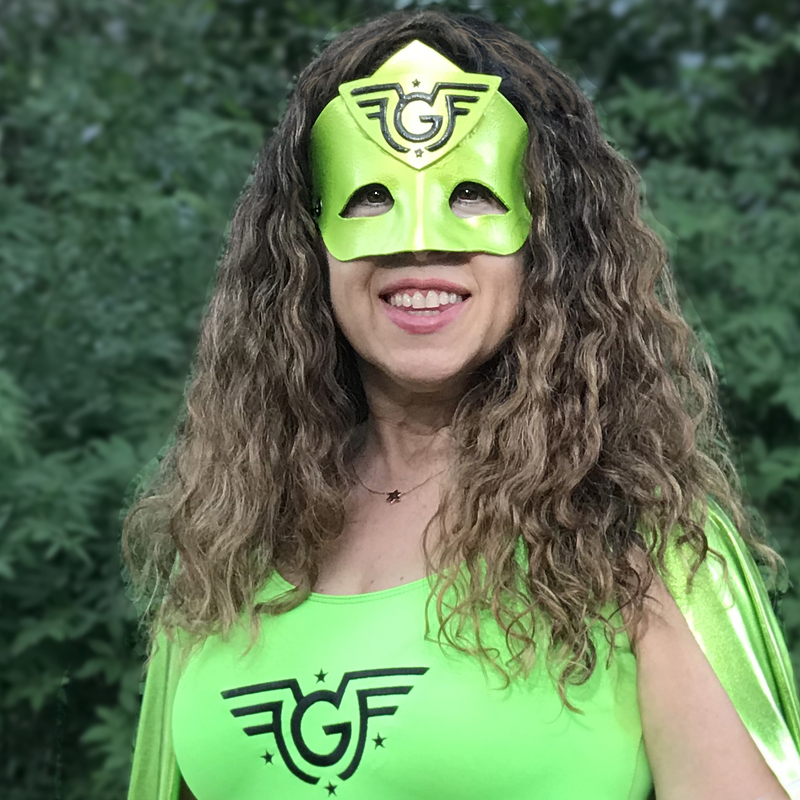 Use code GFF. 4) Best gift for your favorite guy. 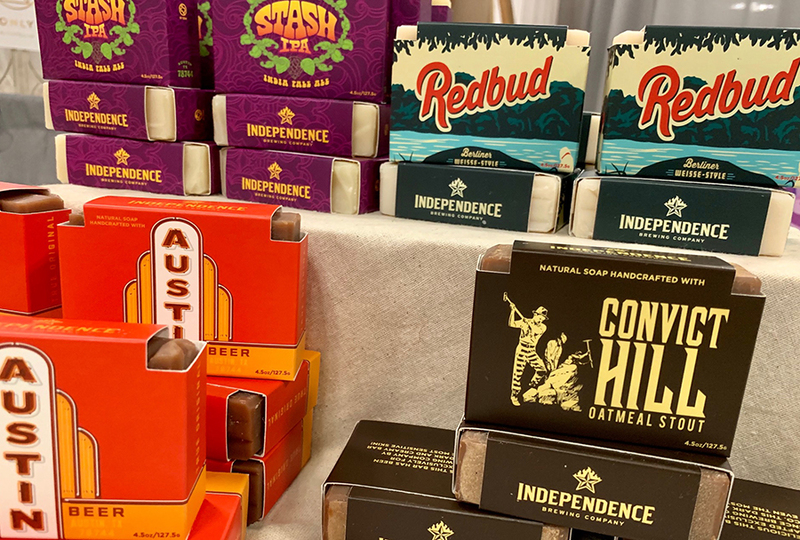 Kuhdoo is a local Austin company which makes hand-crafted soap. 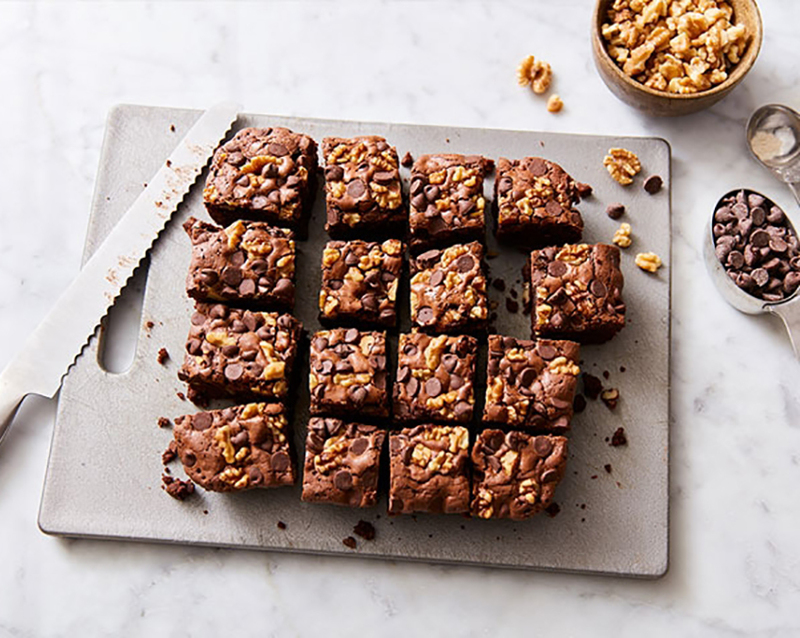 They use high quality plant-based oils like coconut, olive, avocado, sunflower, and hemp. Each bar has a different scent profile based on pure, natural ingredients like lavender buds and hand-grated frankincense tears. What else is unique about them? 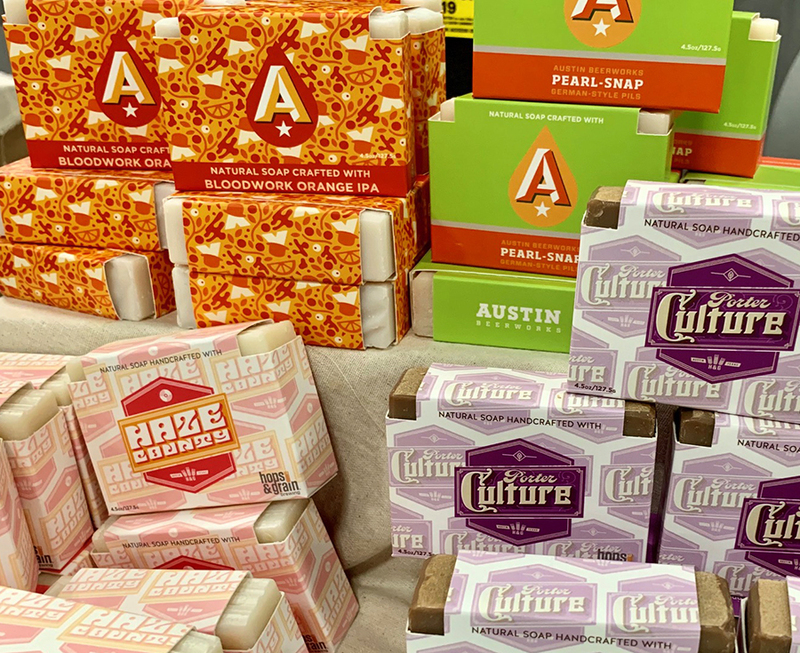 They partner with Texas breweries to create special Brew Bars. It turns out that the proteins, vitamins, and antioxidants found in the malt and hops are extremely nourishing to the skin—it lathers well and people have been bathing in beer for ages! fun, healthy, feel-good soaps—some contain beer! Everything is produced on a small scale and you’ll never see an identical bar come out of Kuhdoo’s micro-factory. 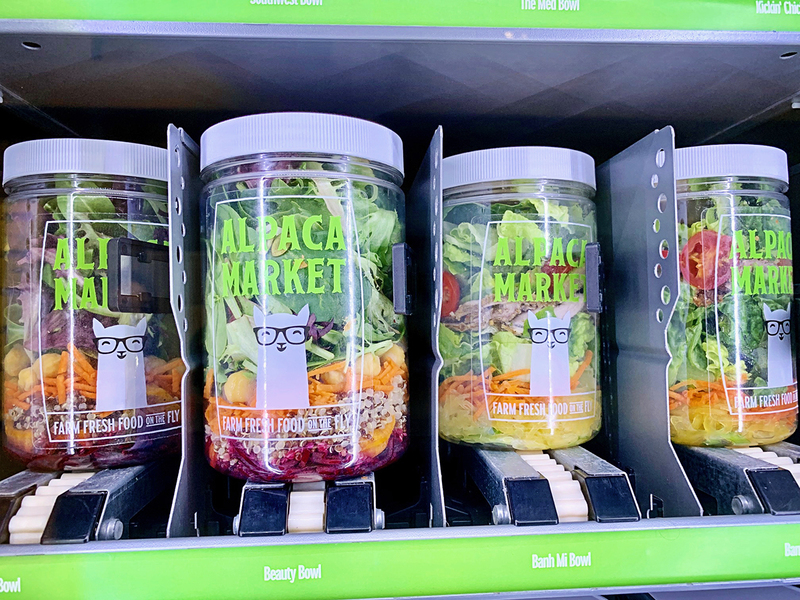 5) Vending machine with farm fresh food?? 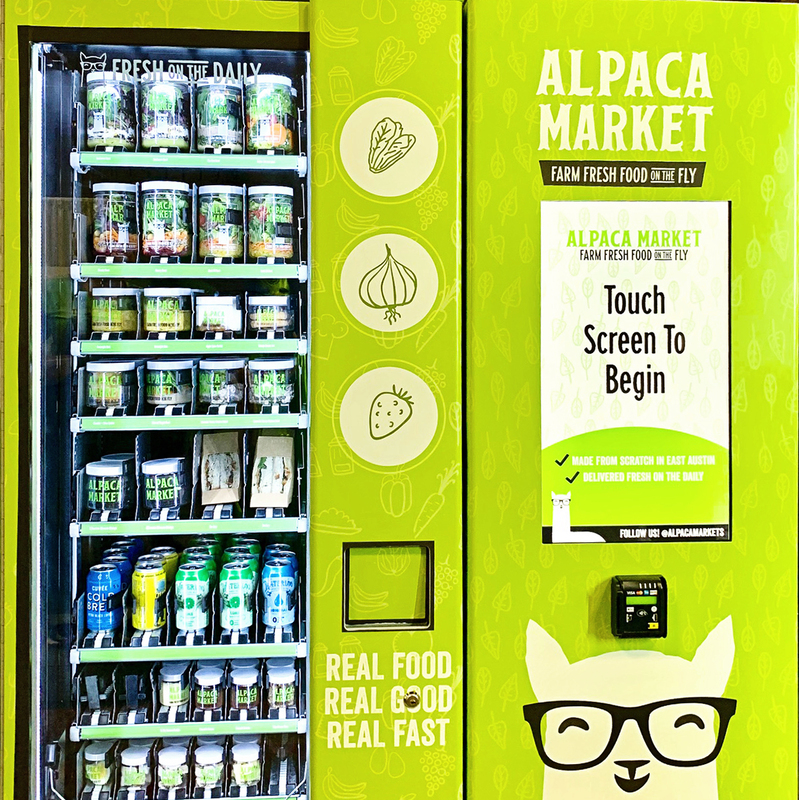 A company called Alpaca Market is revolutionizing the vending machine concept by offering fresh nourishing food that is restocked every single day. The company launched in Austin last year and they have over 30 locations around the city. They have plans to expand into other regional markets. What can you expect to find in the vending machine? Charred Veggie Bowl: Charred beets, golden beets, cauliflower and butternut squash atop a lemony herb salad and dressed with a creamy cereliac puree. Mediterranean Bowl: Creamy housemade hummus, and baba ghanoush layered with chicken shawarma, organic spinach, quinoa tabbouleh, crispy chickpeas, topped with spiced harissa sauce and a tahini dressing. 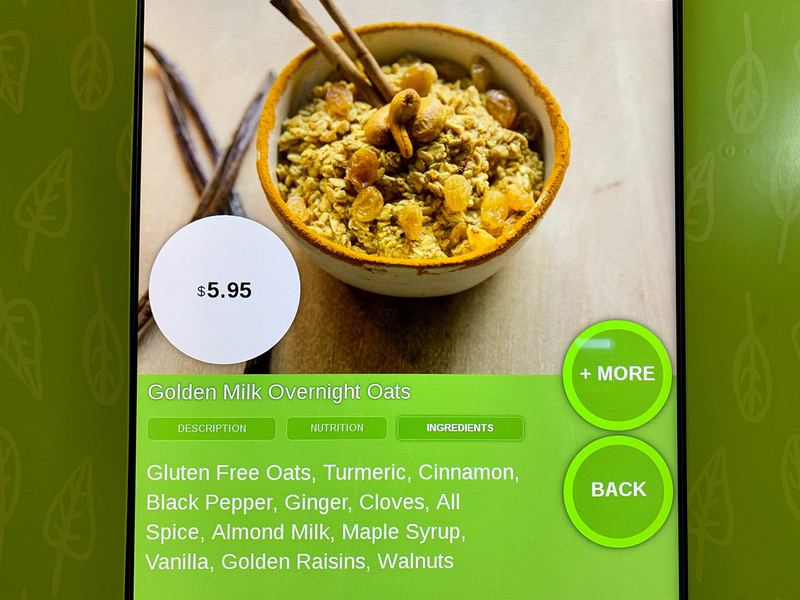 Alpaca Market is offering Good Food Fighter fans 10% off anything on the kiosk menu at all locations except Smart Fridge. Use code 12FF. Only valid at vending kiosks in their 5 public locations. 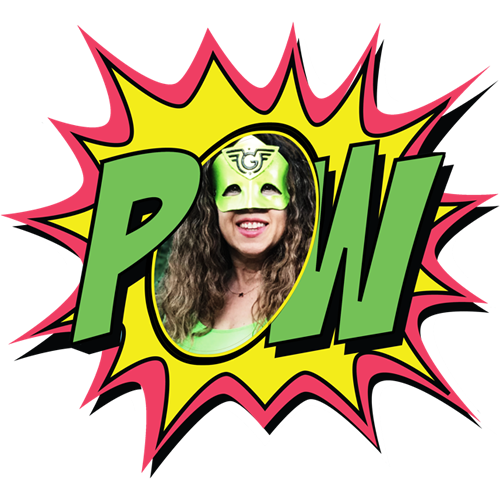 Stay tuned for 5 more awesome products next week!